Obscura 2, our runner-up pick in our guide to the best third-party camera app for iPhone, received a handy update this past week introducing histogram support, major tweaks to the image metadata viewer, and more. The histogram feature is one of those more essential features manual camera apps require on the iPhone and we’re glad to see Obscura 2 catch up with Halide, our pick in the guide for the best third-party camera app. 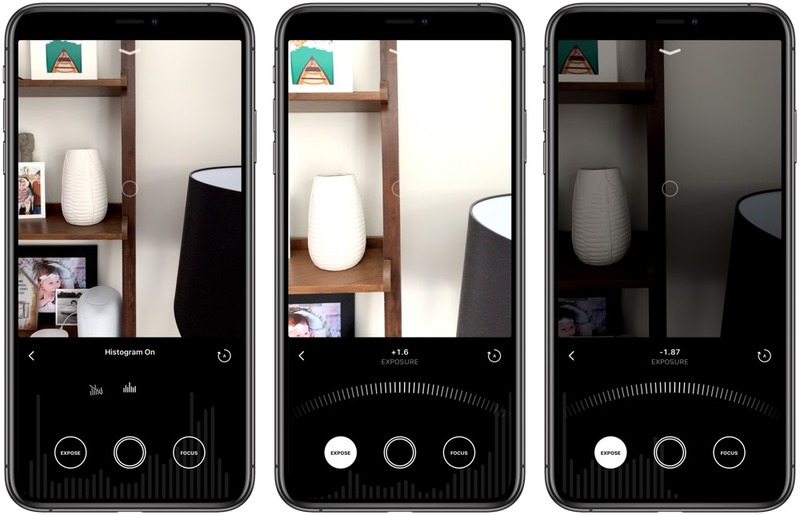 When Halide launched its major update for iPhone X, it utilized the iPhone X’s notch in a then-unique manner — Halide put a histogram in the upper left “rabbit ear”, while exposure compensation settings were nestled in the right “rabbit ear”. 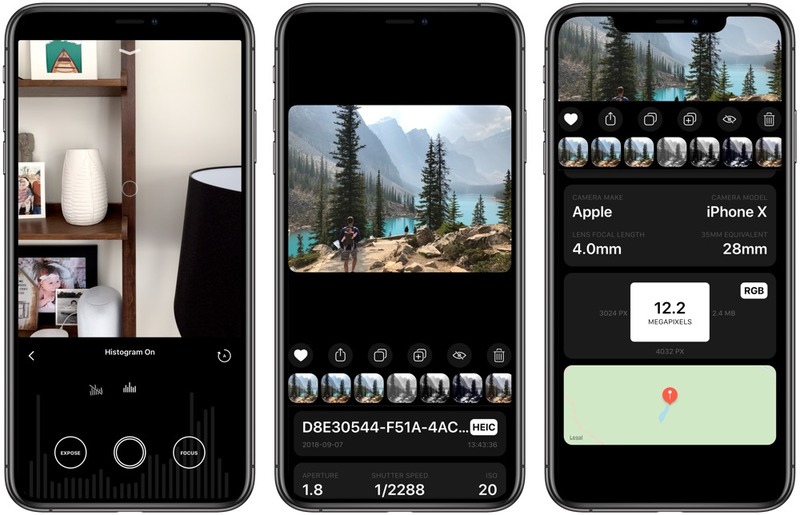 In the same fashion that Halide set a new bar for utilizing the iPhone X’s new notch, Obscura 2’s histogram feature debuts a new way to showcase a photo’s exposure data. If you slide through the wheel of features above Obsura’s shutter button, you can turn the histogram feature on and off. Then, when shooting, you’ll notice a range of moving bars behind the expose/shutter/focus buttons. These moving bars are Obscura’s new histogram feature, and put the histogram right at your fingertips in a large, hard-to-ignore fashion. I particularly like how large the new histogram is, making for easy understanding of exposure of the image just by a quick glance. It’s also neatly tucked behind your most used buttons in Obscura, making it easy to use when you need it and easy to ignore when you don’t. Some will prefer Halide’s implementation in the top-left corner as it is more explicit. However, Obscura’s implementation is a fascinating one and sure to please users. Obscura 2 is our runner-up pick due to some usability shortcomings where Halide succeeds, but on a design front, Obscura 2 takes the cake. The large fonts and card-like buttons and views make for a wonderful app to look at. The new image metadata viewer is no different and makes for an enjoyable passage through your image’s underlying data. 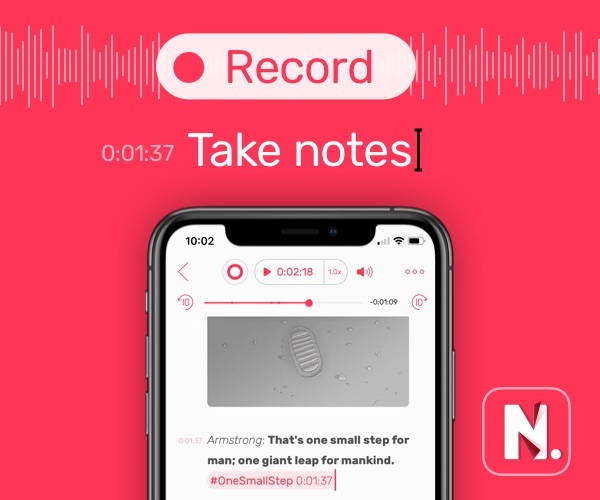 When you tap on any image in the library, you’re taken to a viewer with a true black backdrop (on OLED iPhone models) and quickly tappable cards for liking, sharing, copying, and deleting the image. You’ll also be able to horizontally scroll through a range of presets to apply to the photo. 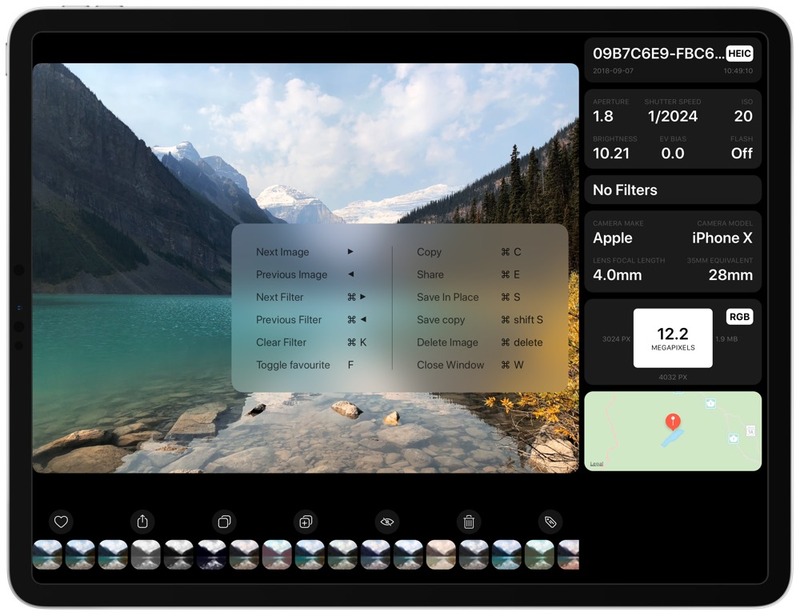 A quick swipe up from the bottom of the metadata viewer showcases the aperture, shutter speed, ISO, filters, camera model, focal length and focal equivalent, location, and more. 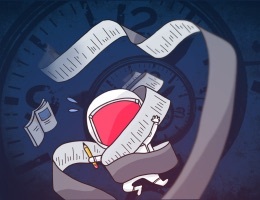 This view is one giant view of data, and it’s portrayed with big, beautiful fonts, round-cornered cards, and easy-to-apply buttons for filters. This image and metadata viewer is a big step up from Obscura’s prior viewer and really pushes the design to a new level. On the iPad, the image viewer takes advantage of the iPad Pro’s big display, allowing you to scroll horizontally through photos. Tap on the little “tag” button on the far right to slide in the metadata viewer from the right. This is handled a little differently on the iPad Pro than on the iPhone, but it better utilizes the larger screen and extra pixels. Although I never see myself using Obscura for editing photos, let alone doing so with a keyboard, those keyboard lovers out there will be glad to learn new shortcuts are included in the latest update. Hold the command button to discover them all — you can now navigate through photos with the keyboard, select different filters, save photos, and more, all with the keyboard. Obscura 2 remains our runner-up pick in our guide to the best third-party camera app, but with updates like this, the race tightens significantly. We love the way Obscura 2 is designed, utilizing large fonts, a stunning black background, and rounded cards to display information. 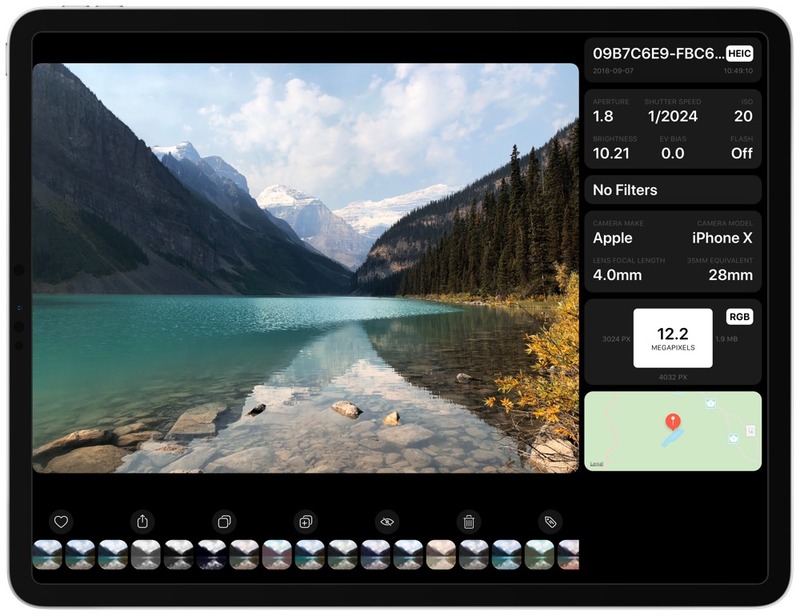 The latest update continues to polish up the design, introduces a histogram feature that is essential for manual camera apps, and some handy new features for iPad users. 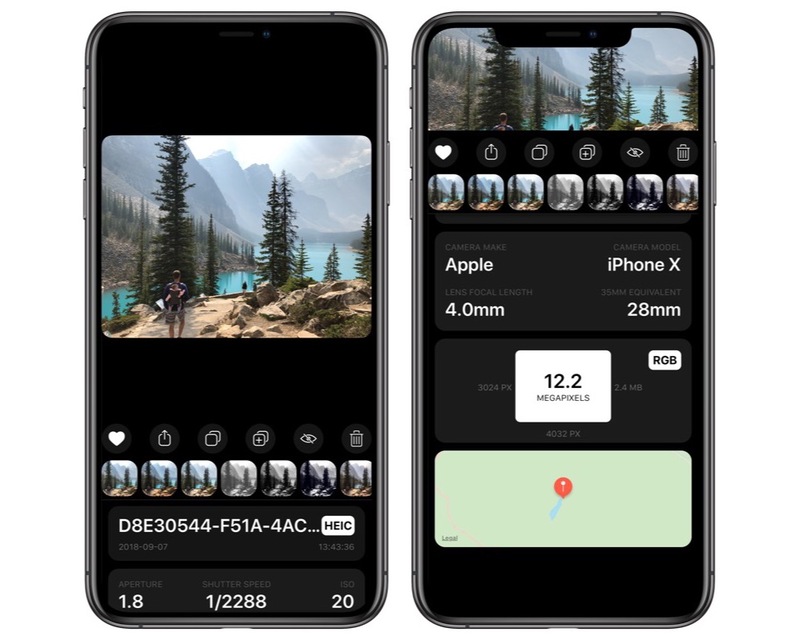 We love what Ben McCarthy is doing with Obscura 2 and we’ll continue to keep an eye on this space as the race for the best third-party camera app for iPhone continues to heat up. This latest update is a free update for all Obscura 2 users. For new users, you can download Obscura 2 for iPhone and iPad for $4.99 on the App Store.